A river delta is a low-lying plain or landform that occurs at the mouth of a river near where it flows into an ocean or another larger body of water. Deltas' greatest importance to human activities, fish and wildlife lay in their characteristic highly fertile soil and dense, diverse vegetation. In order to fully appreciate the role deltas play in our larger ecosystem, it is first important to understand rivers. Rivers are defined as bodies of fresh water generally flowing from high elevations toward an ocean, a lake or another river; sometimes, even back into the ground. Most rivers begin at high elevations where snow, rain, and other precipitation run downhill into creeks and small streams. These small waterways flow ever farther downhill, eventually meeting to form rivers. Rivers flow toward oceans or other larger bodies of water, oftentimes combining with other rivers. Deltas exist as the lowest part of these rivers. It is in these deltas where a river's flow slows and spreads out to create sediment-rich dry areas and biodiverse wetlands. The formation of a river delta is a slow process. As rivers flow toward their outlets from higher elevations, they deposit mud, silt, sand, and gravel particles at the mouths where rivers and larger, more sedentary bodies of water meet. Over time these particles (called sediment or alluvium) build up at the mouth, extending into the ocean or lake. As these areas continue to grow the water becomes shallower and eventually, landforms begin to rise above the surface of the water, typically elevating to just above sea level. As rivers drop enough sediment to create these landforms or areas of raised elevation, the remaining flowing water with the most power sometimes cuts across the land, forming different branches called distributaries. Once formed, deltas are typically made up of three parts: the upper delta plain, the lower delta plain, and the subaqueous delta. The upper delta plain makes up the area nearest to land. It is usually the area with the least water and highest elevation. The lower delta plain is the middle of the delta. It is a transition zone between the dry upper delta and the wet subaqueous delta. The subaqueous delta is the portion of the delta closest to the sea or body of water into which the river flows. This area is usually past the shoreline and it is below water level. Despite the generally universal processes by which river deltas are formed and organized, it is important to note that the world's deltas vary dramatically in structure, composition, and size due to factors such as origin, climate, geology, and tidal processes. These external factors contribute to an impressive diversity of deltas around the world. A delta's characteristics are classified based upon the specific factors contributing to its river's deposition of sediment -- typically the river itself, waves or tides. The main types of deltas are wave-dominated deltas, tide-dominated deltas, Gilbert deltas, inland deltas, and estuaries. As its name would imply, a wave-dominated delta such as the Mississippi River Delta is created by wave erosion controlling where and how much river sediment remains in a delta once it has been dropped. These deltas are usually shaped like the Greek symbol, delta (∆). Tide-dominated deltas such as the Ganges River Delta are formed by tides. Such deltas are characterized by a dendritic structure (branched, like a tree) due to newly-formed distributaries during times of high water. Gilbert deltas are steeper and formed by deposition of coarse material. While it is possible for them to form in ocean areas, their formations are more commonly seen in mountainous areas where mountain rivers deposit sediment into lakes. Inland deltas are deltas formed in inland areas or valleys where rivers may divide into many branches and rejoin farther downstream. Inland deltas, also called inverted river deltas, normally form on former lake beds. Finally, when a river is located near coasts characterized by large tidal variations, they do not always form a traditional delta. Tidal variation often results in estuaries or a river that meets the sea, such as Saint Lawrence River in Ontario, Quebec, and New York. River deltas have been important to humans for thousands of years because of their extremely fertile soils. Major ancient civilizations grew along deltas such as those of the Nile and the Tigris-Euphrates rivers, with the inhabitants of these civilizations learning how to live with their natural flooding cycles. Many people believe that the ancient Greek historian Herodotus first coined the term delta nearly 2,500 years ago as many deltas are shaped like the Greek delta (∆) symbol. Deltas remain important to humans even today as, among many other things, a source of sand and gravel. Used in highway, building and infrastructure construction, these highly valuable materials quite literally build our world. Delta land is also important in agricultural use. Witness the Sacramento-San Joaquin Delta in California. One of the most agriculturally diverse and productive areas in the state, the region successfully supports numerous crops from kiwi to alfalfa to tangerines. In addition to (or perhaps in defiance of) these human uses, river deltas boast some of the most biodiverse systems on the planet. 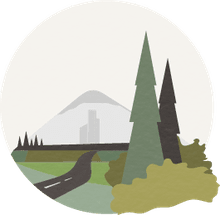 As such, it is essential that these unique and beautiful havens of biodiversity remain as healthy habitat for the many species of plants, animals, insects, and fish -- some rare, threatened or endangered -- which call them home. In addition to their biodiversity, deltas and wetlands provide a buffer for hurricanes, as open land often stands to weaken the impact of storms as they travel toward larger, more populated areas. 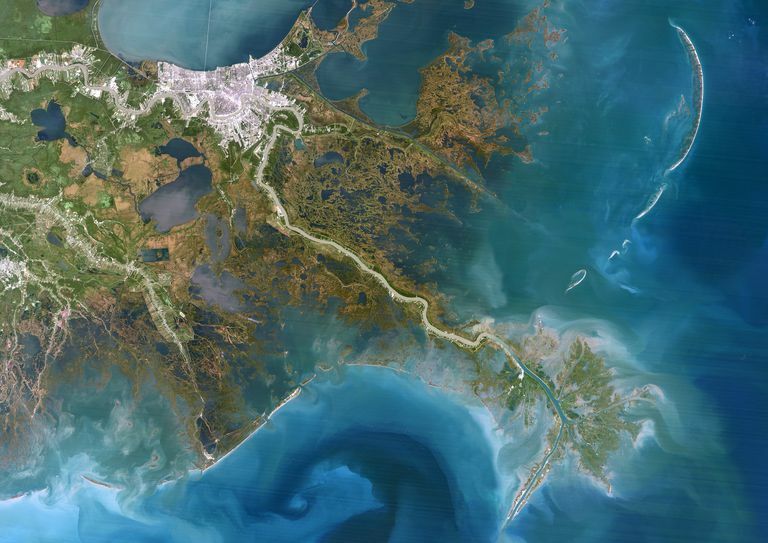 The Mississippi River Delta, for example, buffers the impact of potentially strong hurricanes in the Gulf of Mexico. How Are the World's Waterways Classified? What is a Depositional Landform? What Are the Different Parts of a Stream?